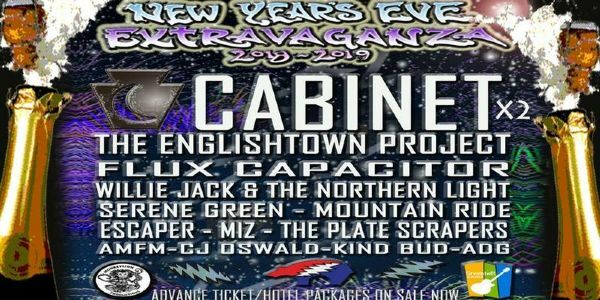 This year we are back at the Clarion Hotel & Conference Center in New Cumberland PA. The hotel comes with very friendly & accommodating staff, multiple ballrooms, an atrium style room w/ heated indoor pool open all night w/music, lounge, WiFi, ATM on site and much more. -Music starts at 5pm and goes continuously till 4:30am on 3 stages. -Complimentary food, snacks and beverages will be served in lounge. -Complimentary champagne toast at midnight for everyone ages 21 & up! Doors open at 4:30 p.m..
*Must be 18 years or older to attend the event and have valid state photo I.D. Purchaser must be present with state issued photo ID. No refunds.